Veteran comics writer Scott Lobdell has a new Superman Annual out today--one of a handful of Superman and Action Comics stories that he's been working on for the last few months since he took over both titles when Andy Diggle and Tony Daniel left Action. 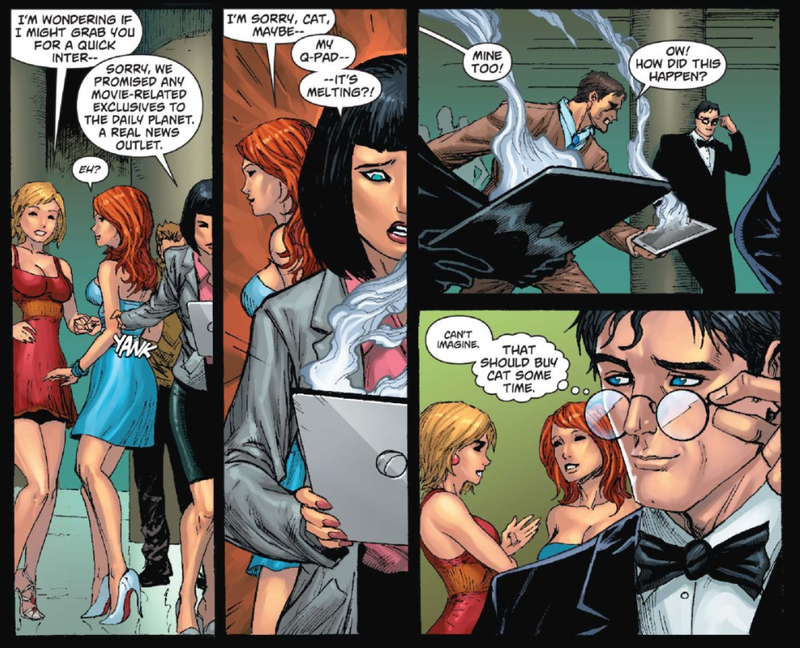 Dealing with Brianiac, the issue puts Lois Lane in danger and features art by Dan Jurgens and Norm Rapmund. 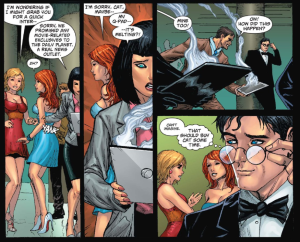 Lois, in particular, is of interest since the Superman supporting cast is a topic that we discuss quite a bit below; Lobdell joined ComicBook.com to talk about leaving his pet project, Red Hood and the Outlaws, for DC's biggest property and what he's building to for the fall's Superman #25. ComicBook.com: So I've lost the exact count, but I think roughly, you are the writer of I think 46 of DC's books. Scott Lobdell: Yes--46 of the New 52. And I am fifty-two, so it's kind of ironic. ComicBook.com: You know--I just spoke to your replacement on Red Hood & the Outlaws. What was it like leaving a book like that, where you'd built such a unique series? Lobdell: You know--if you would tell me who that is and where I can find him? Apparently they won't tell me who's writing the book because they're afraid that I will fly into a rage. I kind of felt like with the last two issues I had told a complete story, so that made it easier. It wasn't as if I was writing one day and then yanked away from the book. Somebody told me yesterday--they said "The book was so you..." and so leaving a Superman or something, when the time comes, Superman existed before me and will exist after me. But Red Hood & the Outlaws was something that I created from scratch, so it's kind of like--Rodney Dangerfield used to say that when someone else tells your jokes it's like having someone else beat your kids. So I do miss the gang. ComicBook.com: But you're doing...well, not only Superman, but you're doing a hell of a lot of Superman right now. Lobdell: Yeah, it seems that way. 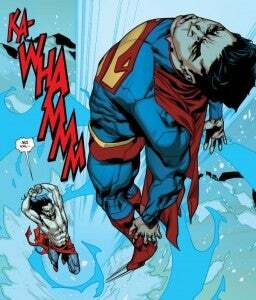 I'm doing Action Comics and I have the Annuals coming up and stuff. I felt it was important, the few issues that I got to do of Action, to bring the book to the modern moment. I think Grant did a great job and Andy did a great job of telling stories throughout that five year period but it was like, "Let's take Action and make it feel almost like a biweekly Superman book." ComicBook.com: It's the first time in a long time that there's been that kind of post-Byrne feeeling that there's a kind of through-line going through the books. Lobdell: It's funny you say that to me because somebody told me that apparently me writing Action and Superman was the first time since Byrne did it that one writer was doing both books. That's kind of interesting! ComicBook.com: With the end of your run on Action Comics coming up, how are you adjusting to working with Greg [Pak] when you've been doing stuff more or less on your own for a few months? 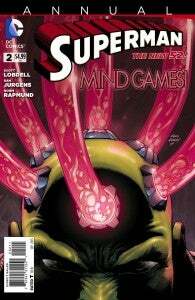 Lobdell: Because of the nature of the supervillain month and what's going on in the twenty-fives, which will be a huge thing when it's ultimately announced, Greg and I's conversations have been about the characters themselves. We haven't really gotten to work together yet, but I can't imagine that it's going to be anything but fun. He's very talented, Charles [Soule] is very talented, so I think it's really fun to look at the websites and everybody picks whose team they're on, but the actual mechanics of making comics is very collaborative and so I think it will be fine. And if not, I'll figure out a way to kill him. ComicBook.com: The upside there, though, is that you're at the Big Two so he'll be back three months later. Lobdell: I always think that if I was in a comic book that I would never attend a funeral because by the time you got back to the car, whosever funeral it was would be there going, "Hey, let's go for pizza." ComicBook.com: When you look at a book like Superman, you've got incredibly high stakes but it is a book where you know that most of the people are safe most of the time. Is it difficult to kind of convince the readers of the stakes in that case? Lobdell: I see what you're saying. I think Die Hard is the most amazing action-adventure movie ever--did I think that Bruce Willis was going to die in it and that the terrorists would slaughter his family and everybody in the office building in the last twenty minutes? Probably not, becuase that would make him not very heroic. Within that context, I think you've just ot to tell the story. I don't think any of us thinks we're going to die, per se. You go through your day jaywalking or something and thinking you're going to live through it. ComicBook.com: What are you doing to build the world and the title up to whatever it is you're doing in #25? Lobdell: I'll say that I kind of did all the world-building in the zero issues of Superman and Mike Johnson and Tom DeFalco in Supergirl #0 and Superboy #0. Pretty much everything you need to discern about the big, huge twenty-fifth issues has all been planted in the zero issues which was--what, a year ago? I'm not excited by six-issue arcs or twelve-issue arcs as much as I am by planting something and watering it over the course of a longer period of time. Maybe hinting at it, going back to it and eventually when it shows up, fans can say "Oh, yeah." ComicBook.com: Kind of like the Chris Claremont school. Lobdell: Yeah, the Chris Claremont school, not necessarily the kind of trade paperback school that we're in now. ComicBook.com: Obviously you did that very successfully for a long time, but do you feel like the market is a very different place now? Lobdell: Well, what I find interesting is sometiems message boards, sometimes editors, I'll drop a one-page subplot into a book. As you know in the old days you could introduce that page and then pay it off a few issues later and then pay it off and then build on it. But what I've discovered is that if I introduce a one-page subplot, people will go, "That doesn't make any sense. He's doing filler. He doesn't know what to do with that issue; he just threw that in there." I'm like, "I'm building this!" ComicBook.com: It's a bummer that you get that, because I feel like the page count has gotten so low that things like supporting casts just get the bum steer. Lobdell: Definitely. That's what it is, yeah. They're supporting casts, because they're supposed to support the characters. Sometimes I do have to fight for--they tease me sometimes and say that I would rather be writing a Clark Kent book than a Superman book, and I say that I don't really see the difference. I think that if we see Clark for six pages and then Superman for eight pages, I don't feel like we're cheating anybody becuase he's still Clark. He's Clark whether he's in the glasses or in the cape. But it is a different time than when I was writing X-Men. ComicBook.com: Superman is unique in that respect, isn't he? I mean, his entire supporting cast is iconic and people get justifiably upset when Lois or Jimmy or even Perry don't get some pages. Look at how they had to cast that movie! Lobdell: I'm actually more recently fascinated by Cat [Grant] becuase I think her dynamic with Clark is something that we haven't seen before but you know, it's definitely something that you have to fight for. Even during the H'El on Earth thing, it was an eight-part crossover but it was so intense in terms of the battling and the stakes that was going on that we didn't have time to cut back to the supporting cast. You don't want ot cut back to Jimmy and Perry looking at the TV screens going, "Well, that seems like it's a drag for them!" 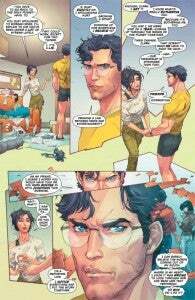 So once that was over, I did an issue that was a lot of Clark. ComicBook.com: One of the things I noticed with Villains Month is that H'El is one of the only newer characters who got his own book. Is it cool that in such a short time you've managed to build that character up to where DC is taking it that seriously? Lobdell: Yeah, I'm very excited about H'El and I agree that we need to see the newer characters.